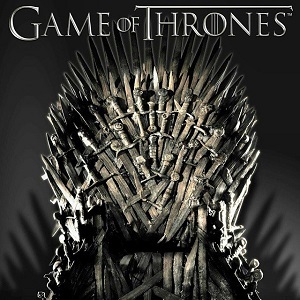 [Blind Gossip] This Game Of Thrones actor was rumored to have dated an actress on the show. They may be just friends. Because he has been picking up guys on the internet! He’s a very nice person. Good in bed. Very sweet. Followed up with some texts wanting to get together again. He even sent a short video clip of himself mast*rbating. We are fairly confident that particular clip won’t be used as a teaser for Season 8! [Optional] Which Game of Thrones cast member would you swipe right on if you spotted them on a dating app? Oh, I hope this isn’t Jerome Flynn! He makes my radar ping. Pedro Pascal who was rumored to date Lena Headey. It doesn’t say if it’s current but Pedro Pascal. Can only think of Pedro Pascal, who played Oberyn Martell and was rumoured to have been dating Lena Headey (Cersei). Not Kit! Say it ain’t so, Mr. Snow!! For real, that’s a huge cast of characters so narrowing it down would be incredibly difficult unless you knew someone who knew someone. But Sean Bean was (is) my choice to swipe. Magnificent Specimen of a man with a lovely accent as a bonus! Not the first time he’s done a solo on live camera. Kit Harington? It seems like the hottest actors are gay. Oh well, I’m a straight female and I still enjoy watching well known gay actors in straight roles. What worries me here is his discretion, whoever it is. Plus recording himself and sharing it? Have people not learned by now??!! At this point I think celebrities almost want the scandal if it gets out, unless they were secretly recorded. I hope you at least can’t see his face. I remember reading Lena Headey was rumoured to have dated Jerome Flynn (no love lost there) and also Pedro Pascal. But i think this is Dean Charles- Chapman, who was linked to Nell Tiger Free. Who would i swipe right for? Kit Harrington, Jerome Flynn and Kristofer Hivju. I’m going to guess Pedro Pascal. There were some pictures that kind of made it seem like he and Lena Heady were dating, shortly after his character was killed off the show. Other than that, I’m not sure who is rumored to be dating who on GoT, besides Kit Harrington and Rose Leslie and that’s a confirmed relationship. Does “swipe right” mean you’d date them? The only actor I know from GoT is Peter Dinklage and I would totally date him. I don’t watch Game of Thrones, so I don’t know any of the actors. I’m also not on a dating site, and know nothing about swiping. If swiping right is positive, then I am giving fair warning that if Tom Selleck shows up on a dating app, he’s mine!!!! Oh, calling dibs on Rob Thomas of Matchbox Twenty also! ? Please don’t let this be Kit Harrington ? Kit Harrington or Alfie Alan. I think both of them have had dating rumors. Swiping right on Nikolaj Coster-Waldau! Even if John Snow is gay, I’d still swipe right. He’s hot. Has to be C-list cast, so we know the name. I’m thinking Jacob Anderson/Grey Worm? or possibly Alfie/Theon/Reek? he should know better by now with digital evidence. We already know about Kit with Rose and Emelia, and Jerome/Lena drama, so it can’t be them. Most everyone else is married or otherwise spoken for. No idea. But I’m rewatching GoT and Richard Madden is so gorgeous ? Him, Kit Harrington, Ser Jorah (had a thing for him since tomb raider), daahrio (no idea how to spell it), Drogo, Loras Tyrell…huh, didn’t think I liked that many guys from GoT! Robb is definitely number 1 though! Everyone seems to be swiping right for male members of the cast. Let me change the tone by saying Emilia Clarke or Nathalie Emmanuel. Firstly, it must be an actor who is still in the show hence the reference to the “teaser for Season 8”. Most suggestions are about the characters who are no longer in the show. I wish it is Joe Dampsie, but there was no rumour about him dating any actress from the show and I’m not sure how important his character would be to be included in the teaser. I don’t know which actor other than Kit Harington it could be to be shown in the teaser. When I read the line “We are fairly confident that particular clip won’t be used as a teaser for Season 8!” I thought, who’s the fella who had his tallywacker chopped off, because only someone without a youknowwhat wouldn’t be able to jerk himself off in the season’s opener. Google says Alfie Allen plays Theon Greyjoy, and young master Greyjoy is indeed missy his member. So that’s my guess. That is great reasoning. I’ll go with that. The show has a wide group of actors that I wouldn’t kick out. Very wide. Jerome Flynn dates Lena before GOT which is why you never see them filmed together.